Sheep tend to be unlucky and accident-prone, second only to chickens in their uncanny ability to be eaten by predators. You knew this when you decided to become a shepherd, but failed to realize that wolves were your direct competition. With the help of your trusty hound, you must protect your sheep, but feel free to put your opponent’s sheep in danger. 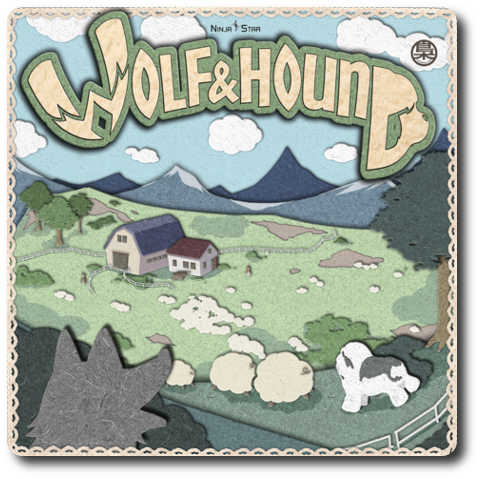 Wolf & Hound, designed by Fukutarou and to be published by Ninja Star Games, will reportedly be comprised of 4 Player cards, 32 Number cards, 9 Wolf & Hound cards, 1 Pasture board, 4 Player boards, and 16 Sheep tokens. As this is a review of a prepublished game, I cannot comment on the game component quality. However, to suggest that this game has not been published is not accurate. Wolf & Hound is the English version of the Japanese game, Tamamooool: Defend the Eggs. What little artwork there is by artist Matsuda98 serves more as a backdrop, subtly blending into the game’s background allowing the game play to take center stage. Note: Wolf & Hound can be played with only 2 and 3 players, but the rules we were provided only contained instructions for a 4-player game. While our review will be missing instructions and a game play summary with 2 to 3 players, the rules do state that the recommended number of players for Wolf & Hound is 4. 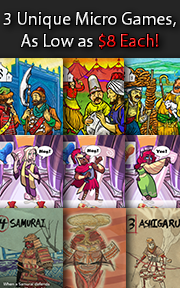 To set up the game, shuffle the Character cards and deal 1 to each player. This will decide the teams. Or, if the players prefer, have everyone split into teams of 2. Team members should sit opposite of each other so the turn order alternates between different teams. Second, give each player 1 Player board and place the Pasture board in the middle of the playing area. Third, shuffle the Number cards and deal 4 to each player, face-down. This is the player’s hand. Players should look at their hand of cards, but keep them hidden from all other players. Place the remaining deck of Number cards to one side of the game playing area and within easy reach of all the players or in the center of the Pasture board. We decided to keep the Number cards to the side so everyone could see the cards being played. Regardless of where you place it, this is the draw deck for the duration of the game. Fourth, give each player 3 Sheep tokens (4 Sheep tokens are used in the advanced game). The Sheep tokens should be placed in the fenced enclosure area found on the Player board. Place the remaining Sheep tokens to one side of the game playing area. Fifth, choose a Wolf and Hound card. There are several types to select from. If this is your first time playing the game, select the “01” Hound card and the “01” Wolf card. Regardless of which Hound and Wolf card is selected, place both face-up in the Pasture space directly in front of the first player (whomever has the “Player 1” Character card). Any Hound and Wolf cards not used are returned to the game box. That’s it for game set up. Time to keep those sheep safe and chase the wolves away. Wolf & Hound is played in turns with no set number of turns per game. Each player is on a team and they must work together, but without sharing cards or using too much table talk. It’s up to the players to determine what constitutes “too much” discussion between team members. On a players’ turn, they will take the following actions. At the start of the game, the Wolf and Hound cards start in front of “Player 1”. If this is the first player’s turn in the game, this phase is ignored. For the duration of the game, all players check to see if the Wolf and Hound cards are in front of them, but only on their turn. 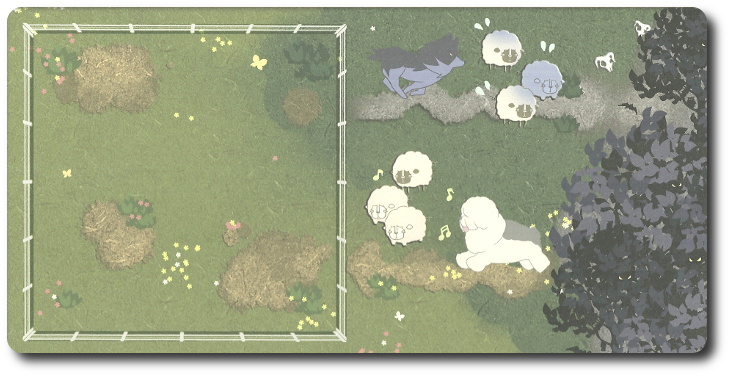 If the Wolf card is in front, the player must move 1 Sheep out of their fenced enclosure. This Sheep token is no longer owned by the player, but it’s not out of the game. If the Hound card is in front, the player adds 1 Sheep token to their fenced enclosure. If both the Wolf and the Hound card are in front of the player, a Sheep token is neither lost or gained. There are also other cards that could be triggered, but these are used in the advanced game. See “Game Variants” for additional information. The game ends if any player is without a sheep token. If a player is found to have lost their last Sheep token, the player’s team has lost the game. Now the player selects 1 Number card from their hand and plays it. We played our cards to the center of the Pasture board, but the Number cards can be played to any location that allows all the players to see it. Number cards come in black (representing the Wolf) and white (representing the Hound). Each Number card also has a number value. 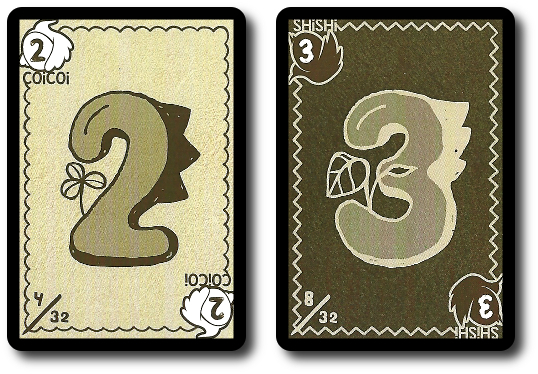 These number values represent the number of spaces the Wolf or Hound card “moves” on the Pasture board. For example, the white Number card on the left would move the Hound card 2 spaces on the Pastures board and the Number card on the right would move the Wolf card 3 spaces on the Pasture board. Movement is always clockwise. The last thing a player does on their turn is draw 1 Number card and adds it to their hand. If the draw deck is exhausted, the player does not take any action during this phase of their turn. The next player from the opposite team now takes their turn as summarized above. The game can end one of two ways. The first occurs during the second phase of a player’s turn. If there are any players without any Sheep tokens, they have lost the game for their team. The second way the game can end is during phase 4. If a player is ever unable to draw a new Number card and doesn’t have any Number cards left to play, the game comes to an end during the first player’s next turn. When the game ends due to no more Number cards, each team member counts the total number of Sheep tokens they have, adding their count to their fellow team member’s sheep count. The team with the most Sheep tokens wins. 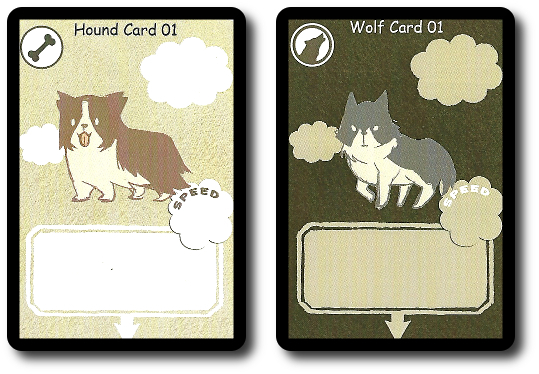 Wolf & Hound comes with enough cards to customize game play. For those looking to play their games a bit differently, several game variants are available. Instead of playing a single game to determine who the winner is, teams play a total of 3 games. The team who wins the majority wins the game. 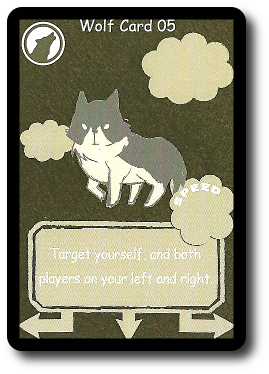 There are several Wolf and Hound cards in the game that are only used for advanced play. 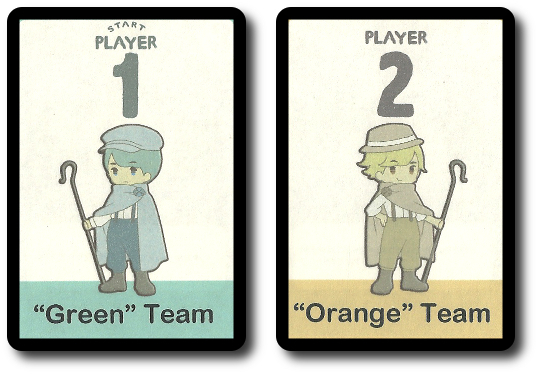 These cards provide special abilities and effects during the game. Each are summarized here. 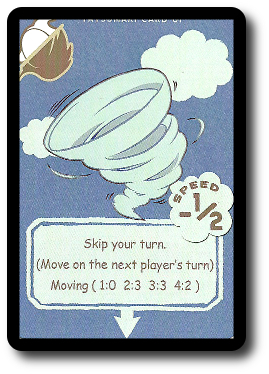 Tornado cards: Both black and white Number cards move the Tornado card around the Pasture board. Tornado cards do not attack a player’s Sheep tokens, but they do alter the way cards move around the Pasture board. Metamorphic cards: These Wolf and Hound cards are double-sided, with one side representing the helpful hound and the other the troublesome wolf. When the Metamorphic card passes the first player, it’s flipped over. This means the loyal hound could suddenly become a savage wolf or the blood thirsty wolf becomes a docile hound dog. In addition to the different cards, there are also effects. A few are summarized here. Movement modifiers: Some cards have a bonus or a penalty to their movement, subtracting or adding 1 or more number values to the played Number card. Some cards can even move counter-clockwise. Different targets: Most of the time, the card will only target the player it’s in front of. Some cards have arrows that assign the target to the left or right of the active player. The game set up described above is the recommended starting game for new and inexperienced players. After playing the game enough times to feel comfortable with it, several suggestions on different card combinations during game set up are provided. Using specific cards, the game play can become much more demanding and aggressive. Chaos can also be introduced by adding cards that continue to alter game rules. To learn more about Wolf & Hound, visit the game publisher’s website or visit the Kickstarter campaign. Wolf & Hound was an easy game for the Child Geeks to learn. Game play is intuitive and the position of the cards always lets the player know the approximate amount of danger their sheep are in. What they struggled with at first was the team play. When working with another player, you have to watch your sheep and theirs, which means you don’t have a lot of room to move the Wolf card. With only 4 possible resting positions, it’s very possible that 1 team member will get hit by the wolf each turn. But it’s also possible to move the Hound card to counter the Wolf card or retrieve more sheep. The Child Geeks understood this very well but couldn’t get their collective act together to manage the cards. At least, not right away. According to one Child Geek, “I thought this game was going to be really easy at first, but the Wolf card keeps coming over and eating my sheep!” It’s all about the objective at the moment and the Child Geeks came to realize that they had to cooperatively protect and attack. When they found their rhythm, they were unstoppable. As one Child Geek put it, “Once you understand how to work with your partner, everything goes really smoothly.” When the sheep were safe and the wolves were chased away, the Child Geeks voted to approve Wolf & Hound. The Parent Geeks enjoyed the cooperative aspect of the game, finding it to be casual with just enough engagement to keep all the players involved. They also found the game to be frustrating at first, as they fell into the same trap as the Child Geeks. According to one Parent Geek, “I failed to realize how important it was for my team to manage both the Wolf and the Hound card as often as possible. We lost a lot of sheep at first until we realized our mistake.” Wolf & Hound is a game where team member must look out for each with a mix of offensive and defensive plays. But it’s impossible to always protect the sheep. 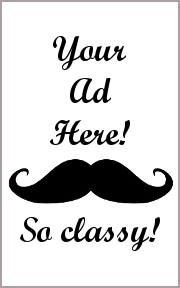 As one Parent Geek put it, “You will lose sheep and you will earn sheep. The key to victory is simply to outlast your opponents. It’s all about survival.” Well said! When all the games were over, the Parent Geeks decided they rather enjoyed Wolf & Hound, finding it to be a game that was fun to play with their family and friends. The Gamer Geeks were not impressed with Wolf & Hound. According to one Gamer Geek, “I think this game would be great for kids and for really casual players, but I can’t find anything about this game I like. I’m just moving cards around in a circle until the game ends.” To the Gamer Geeks, the game’s hardest challenge was simply attempting to decide which of the 4 cards to use on the player’s turn that would benefit both team members. But even this wasn’t very hard as most of the time the action taken on the player’s turn was made moot on the next opponent’s turn. As one Gamer Geek put it, “If I move a card on my turn, the same card can be moved right back to me almost immediately.” Which isn’t that big of deal, mind you, as Wolf and Hound cards DO NOT activate unless they are in front of the player who is taking a turn. But this meant little to the Gamer Geeks as they found the carousel of cards that went around and around to be anything but interesting. One Gamer Geek, however, believed the game was a good one. He said, “This is not a difficult game, but nor is it easy. You have to work with your opponent if you want to win and that takes skill. For such a small and casual game, it requires a lot of thought to win.” The Gamer Geeks voted to reject Wolf & Hound, finding the game to be too casual and light with not nearly enough depth to be of much interest to them. I found the Gamer Geeks’ evaluation of the game to be a bit crass. I agree with their take on the game’s level of depth of play and its casual style, but I don’t believe any of that is a negative. Nor did I find the Wolf and Hound cards to be a source of announce as they chased each other around the Pasture board. In fact, I found it very interesting. Since the Wolf and Hound card only effect the active player, the cards act a bit like a controlled spinner. If you can time your card plays correctly and work with your fellow team member, you can get the Wolf card to land on an opponent’s space to eat sheep more often than you think. If you don’t put any thought into the game and just play cards, the game does fall apart. Wolf & Hound only works if the players are thinking things through and playing for keeps. The special Hound and Wolf cards are interesting and throw more effects into the game, but do not make for a deeper game. They are moved about the Pasture board in the same manner as the basic Hound and Wolf card, which means not a lot more thought has to be put into their use. Their effects will make a player pause a few times when they consider how best to logistically use the card, but the learning curve is exceedingly low. In no time at all, players will be able to play the advanced game without much of an issue. Which is great, because the advanced game is worth it. I found Wolf & Hound to be a cute card game for the family and for players who enjoy casual card games. The game’s level of depth is just enough to keep players involved without demanding all of their attention, but they will remain engaged. This is due to the game’s cooperative nature that keeps team members occupied, talking (somewhat) and working together. There is no downtime to speak of, even if the player is not taking their turn, due to the ever-changing Pasture board. Players will feel compelled to keep track of what is going on from the first sheep to the last sheep. If Wolf & Hound sounds like a game you’d like to try, I encourage you to do so. Win or lose, you won’t have a baaaaaad time. 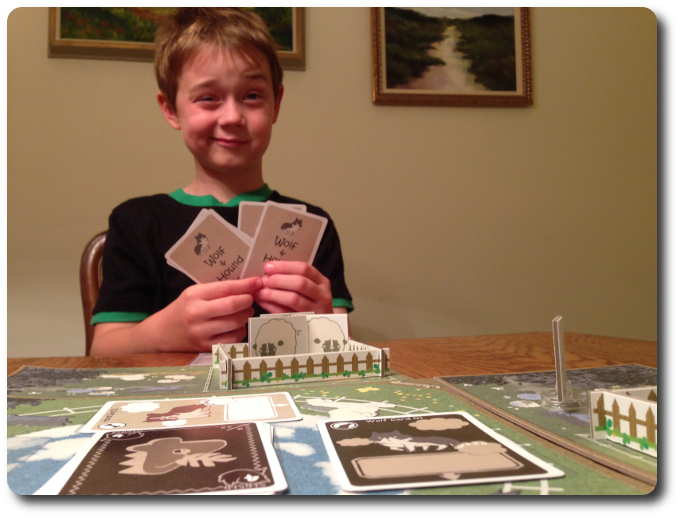 Tagged Animal Games, Card Games, Child Geek Approved, Farming Games, Parent Geek Approved, Prepublished Games. Bookmark the permalink. Our pleasure! Thank you for giving us the opportunity to enjoy it!